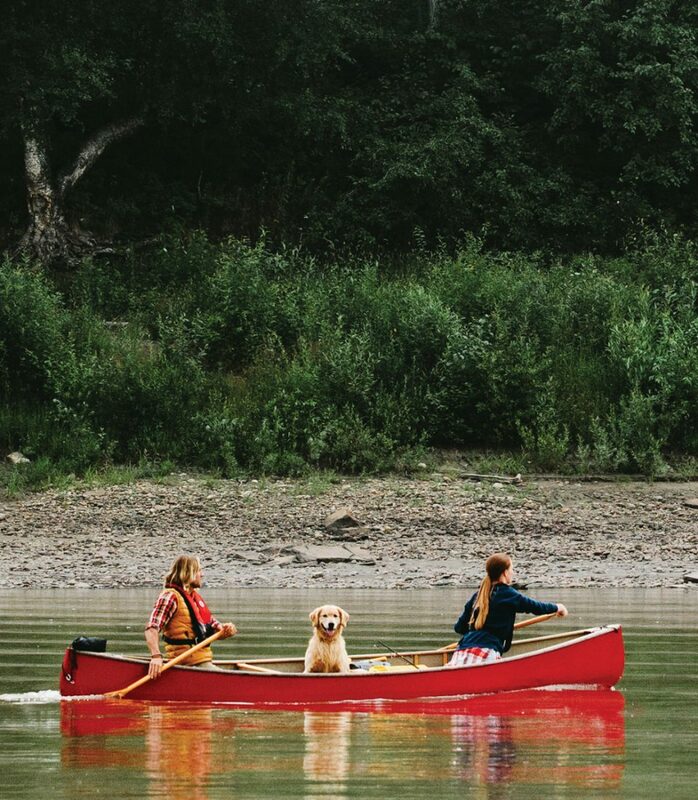 Everyone has their favourite spots in the River Valley, but here are a few you may not have heard of yet. Edmonton’s river valley featured heavily in the news of 2017 for one reason: Accidental Beach. This small strip of sand that popped up along the North Saskatchewan River ignited the city’s imagination. It was as if the river valley suddenly came into clear focus, the possibilities of what could be for the park next to the river. But the unexpected beach isn’t the only hidden treasure to which our river valley system plays host. If you are willing to search it out, trek off the beaten path and put in a little bit of effort, there are some interesting places to find. This spot is more of a wooded area surrounded by a creek than an actual island, but if you’re looking for some amazing undeveloped woodlands in the city, then Big Island Woodbend Natural Area is hard to beat. This area of forest on the city’s extreme southwest has been set aside for its natural beauty and importance to wildlife. The area plays host to an old-growth white spruce forest that’s more than 110 years old and the river valley’s largest population of mule and white-tailed deer. Big Island is currently undeveloped, though there are plans to add biking and cross-country ski trails. How to get there: Canoeing south from the city (or north from Devon) used to be the easiest way, but the new Maskekosihk Trail makes it easier to access by car. There’s more than one abandoned curiosity in the city’s river valley. On the east side, near the border with Sherwood Park, lies Strathcona Science Provincial Park. What is currently a conglomeration of abandoned interpretive buildings was once to be the pride and centre of the province’s park system. Built on an archeological site and opened in 1980, it was conceived as a teaching site near the city. Budget cuts killed the ambitious project and now it’s an overgrown park with a great view of the skyline. How to get there: Take Hayter south off of Yellowhead Trail. A large, ’80s era wooden sign will welcome you to this overgrown amenity. Edmonton isn’t the only city the North Saskatchewan passes on its winding journey. Two small parks near Devon offer chances to escape the big city in searches of quiet getaways. The first is a family-friendly setting, Prospectors’ Point. Just north of Devon, this stretch of river valley features some great views and quiet spaces to set up your picnic basket. If you are looking to make your visit part of a bigger nature road trip, hit up the University of Alberta Botanic Garden and Clifford E. Lee Nature Sanctuary. For the more adventurous river valley denizens, Devon is also the destination if you want to experience the river valley “au naturel.” Around the bend from Prospectors’ Point is CottonTail Corner, a nudist beach on the banks of the North Saskatchewan River. How to get there: Both sites are accessible from Highway 60, taking Township Road 511. To get to Prospectors’ Point, turn immediately onto Range Road 263 and follow it to the River. For detailed directions on how to get to CottonTail Corner, check out cottontailcorner.ca. On the city’s west end, behind some residential developments and under the Edmonton Country Club and Golf Course, sits an up-and-comer in Edmonton’s park system. Connected by both the Fort Edmonton Footbridge and the Terwillegar Park Footbridge, Oleskiw River Valley Park acts as a thoroughfare between two major valley parks. The City is looking at ways to upgrade the park, putting in place a 25-year management plan. Two options that went to council in late 2017 both consider the restoration of ecological systems, one with a focus on education while the other looks to return it to a more natural pristine system. A final decision on the future of the park is expected in 2018. How to get there: Take either the Terwillegar Park Footbridge or the Fort Edmonton Footbridge into Oleskiw River Valley Park.